A documentary about the Woodstock, Connecticut puppeteer behind the characters of Big Bird and Oscar the Grouch on "Sesame Street" became available on iTunes and OnDemand on Cinco de Mayo and was released in New York theaters on Wednesday, Tribecca Film and production company Copper Pot Pictures announced. 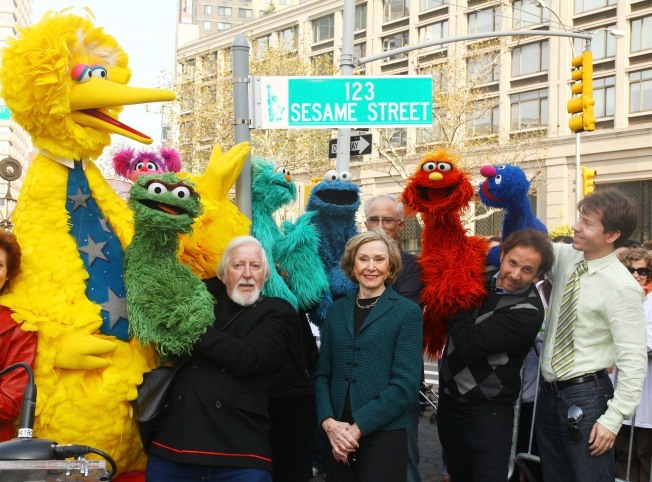 Caroll Spinney, 81, has brought the characters of Big Bird and Oscar the Grouch to life since the show launched 45 years ago. The documentary, "I Am Big Bird" tells his story and highlights his career and characters. The Today Show aired an interview with Spinney on Wednesday, a day after the movie's digital release date, addressing his 46-year career and the story of how he almost went on the Challenger spaceshuttle that exploded. "'I Am Big Bird' captures how the love radiating from Caroll has created a worldwide cultural icon and answers why he can't say goodbye to the characters he cherishes," Copper Pot Pictures said in a news release. He "handpicked a successor," Matt Vogel, "who has waited, quite literally, in the wings, as his understudy for almost 20 years," but Spinney has held on with no intention of retiring," according to the news release. soul,	characters	that	he	loves	and	cherishes	like	his	own children," Copper Pot Pictures said. The production company describes Spinney as a man who has "pure love" filling his life, from his relationship with his mother, who "handcrafted his first puppets" and "sacrificed her own body to protect Caroll from a savage beating from his father" to finding his true love, Debra after his first wife divorced him because she was "embarrassed" by his puppetry career. He was also very close friends with his boss, Jim Henson. A YouTube video shows him singing Kermit the Frog's "Bein' Green" as Big Bird at Henson's memorial. "The	unconditional	love	that	envelops	Caroll’s	life—and	which	is	captured	in	the	hours	of	home	video	culled	for	I	AM	BIG	BIRD — is	the	true	secret	to	Big	Bird’s	popularity," Copper Pot Pictures said. Spinney was also originally supposed to be on the Challenger space shuttle in 1986, but NASA ultimately decided not to go forward with that plan, according to the production company. replacement,	Christa	McAuliffe,	perished	in	the	disaster," Copper Pot Pictures said. Big Bird's popularity has faded as new writers explored other characters like Elmo, but Spinney's legacy as the yellow bird is historical in American pop culture, according to the production company. "He’s	dined	with	heads	of	state,	won	Emmys	and	been	named	a	living	legend	by	the	Library	of	Congress," Copper Pot Pictures said. The documentary explores Spinney's creative process and what inspired him. It shows Spinney today and videos from his personal library "to illustrate how he became the man that became the Bird," according to the production company. The film also includes footage of Jim Henson with Kermit the Frog and interviews with Jane Henson, Vogel, Frank Oz (Cookie Monster, Bert) and Jerry Nelson (The Count). And,	as	the	yellow	feathers	give	way	to	grey	hair,	it	is	the	man,	not	the	Muppet,	who	will	teach	us	the	greatest	lesson	of	all:	how	to	love	unconditionally," Copper Pot Pictures said. Other nationwide will start showing the documentary May 15, according to Tribecca Film.